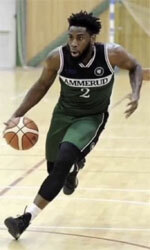 Defending champion Al Nift Baghdad (IBL) re-signed 32-year old international forward Ali Hamad (193-87kg-86). He has played there for the last three seasons. Hamad helped them to win the league title. 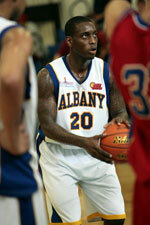 He can count that season as a very successful as was selected to Asia-Basket.com All-Iraqi League Honorable Mention. He also represented Iraq at the FIBA Asia Cup in Lebanon last year. His stats at that event were 4 games: 7.3ppg, 3.8rpg, 2.0spg, FGP: 61.5%, 3PT: 25.0%, FT: 25.0%. Hamad has played previously professionally also in Bahrain (Al-Muharraq) and Iraq (Duhok and Nift Al-Janoub).